best medicines in the Bay. See the quality and price difference yourself! Learn more about joining our patients’ association. We’re excited to welcome you to our family! We always have great deals and unique offers available for our members. From new patients to seniors, we have something for everyone! Our curated menu boasts the finest lab tested medicine in the Bay Area. Selectively and methodically thought out by our expert buyers. Prepare to be impressed! It’s no longer Sativa and Indica, mind OR body. Celebrate and learn more about cannabis’ interaction with your mind AND body with the PCC7! What is YOUR number?! The longest continually operating cannabis dispensary on the planet is right here in Berkeley! Founded in 2001, our roots in the medical cannabis world run deep. With a focus on safe access, activism, and the highest quality medicine we can find, we’re excited to welcome you to the PCC family. 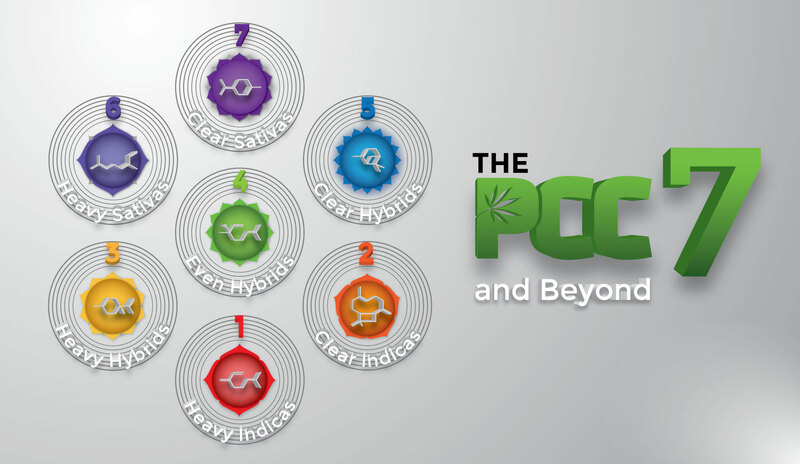 find clarity about the various strains of Cannabis And their unique effects with our PCC7 infographic. The PCC7 is an exclusive innovation brought to you by the Patient’s Care Collective, located in Berkeley, CA. We’ve devised a unique classification system which brings clarity to the seemingly dizzying array of medicines available at our dispensary. Our guide helps patients make informed choices about their own care, enabling and empowering them to know exactly what they are getting, and how it will help their healing and recovery. Our patient service members are available from 10am-8pm by phone to answer any questions you may have. Click here to get in touch.